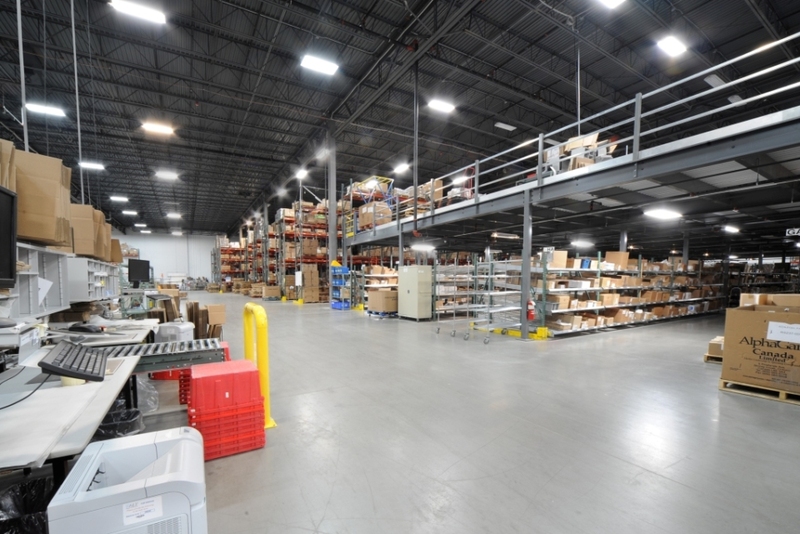 Edge Park Medical started in 1928 as a corner pharmacy and has expanded to today where they are the industry leader in home delivery of disposable medical products. 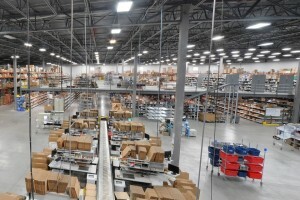 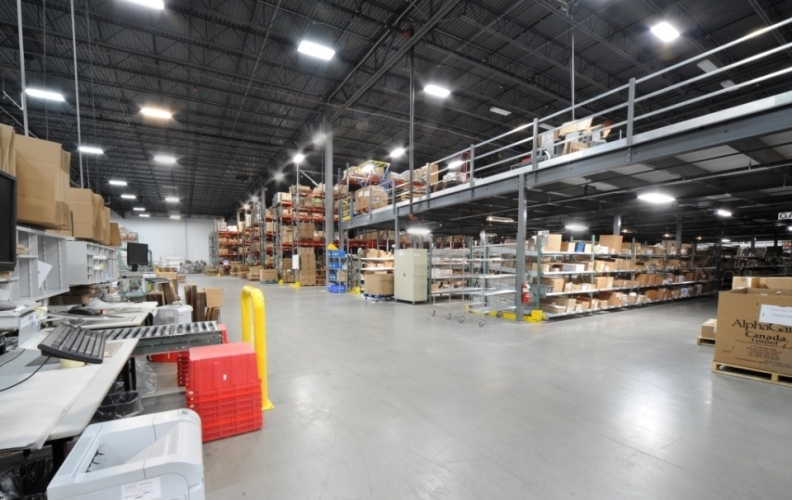 This growth and expansion continues for them today as they are constantly adding new products to their inventory requiring more storage space and even new warehouses in order to store all of their products. The Mezzanine Company was contacted by Geis Construction who had the job of building out one of these new warehouses for Edge Park Medical. 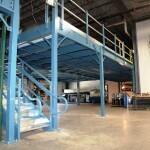 Geis turned to us for the mezzanine part of the project. 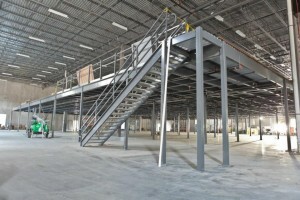 We needed to come up with a plan that would gain them the maximum amount of space while also fitting into all of the other layout plans they had for this new building. 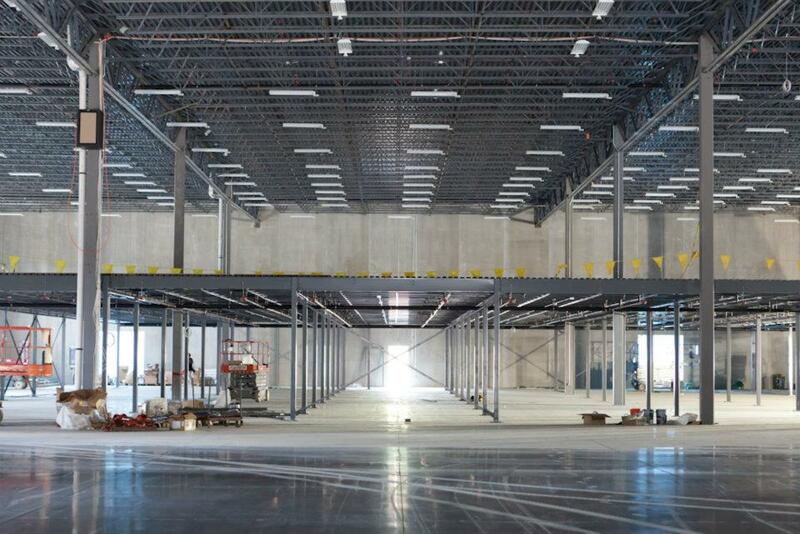 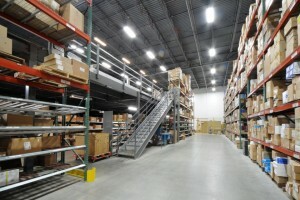 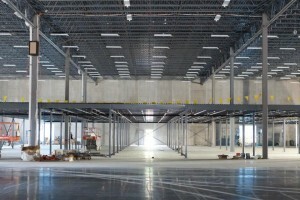 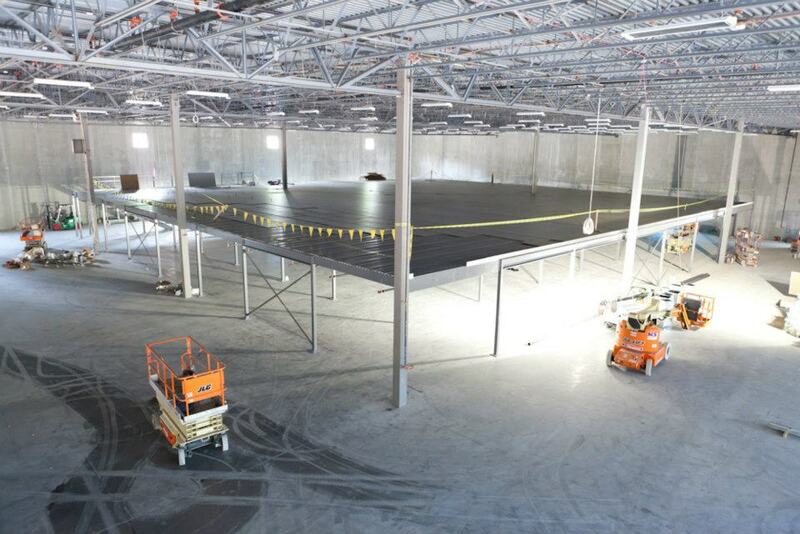 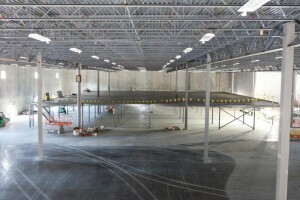 They wanted it to be completed soon as they were looking to start using their new warehouse as soon as possible. 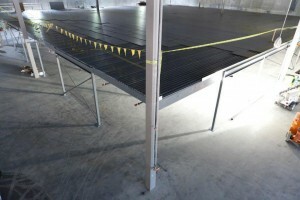 The building was not completed yet so timing the install would be difficult. 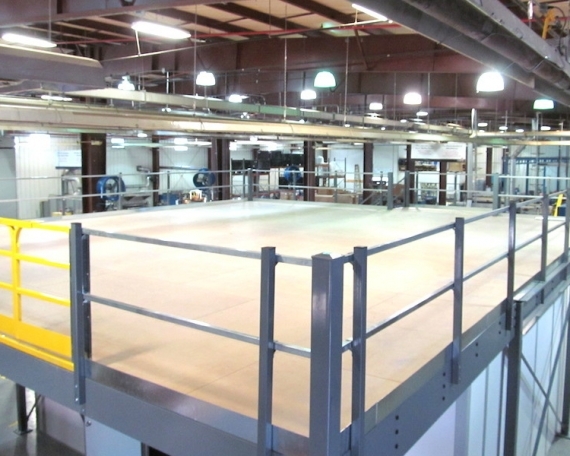 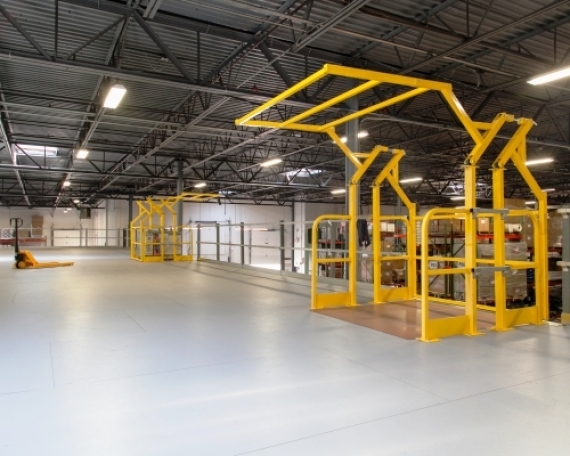 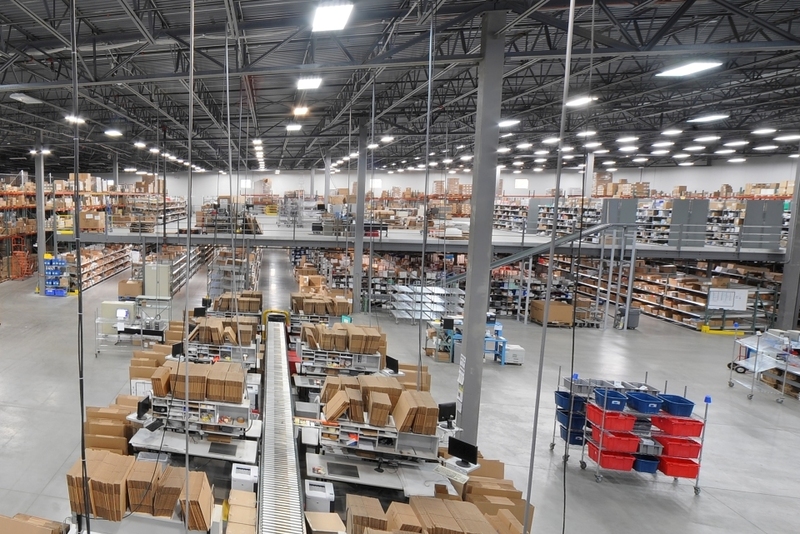 Through many conversations with the both Edge Park Medical and Geis Construction, we settled on a 15,000 square foot design that would integrate with the rack system in the new warehouse. For access to the mezzanine we added 2 IBC stairs with top landings so that the entire central area could be used for storage. 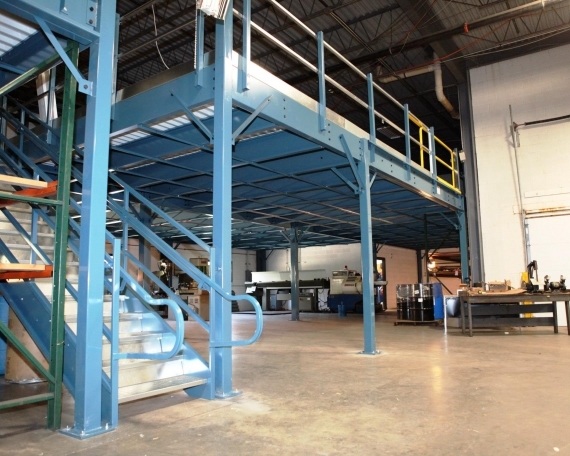 We also included several 4’ lift out gates which we designed to have installed next to each other allowing for a 4’ to 8’ size opening to be created depending on their needs. 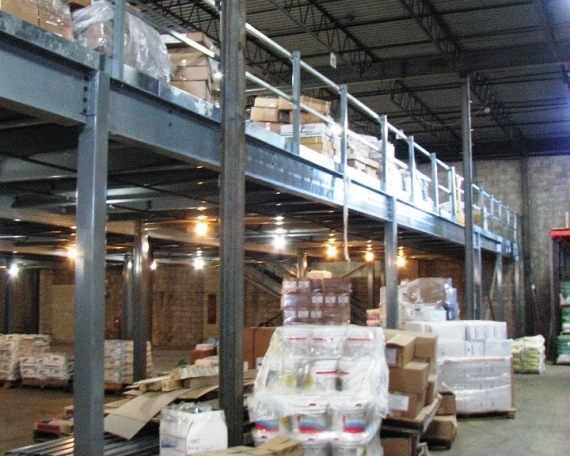 The mezzanine was designed to be 12 feet tall with a clear height of 10 feet allowing for full sized shelving units to go underneath as well as on top of it maximizing the storage space gained by the mezzanine. 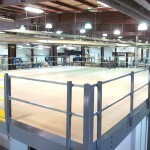 Spent extra time working with Geis Construction to perfectly time out the install within their construction timeframe. 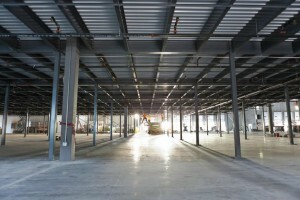 We made special visits to the site, while the building was still being constructed, to determine when the building was complete enough for us to begin our work. 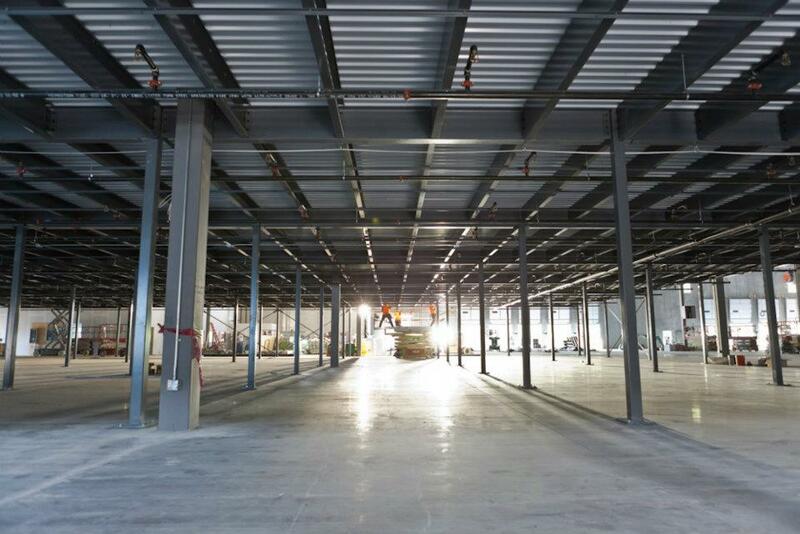 When we started, the building was still only 2/3 completed! Worked closely with our installer, and arranged for overtime work and extra crew members to be brought in so that it could be installed faster than usual. In the end, we made sure that the overall timeframe for the project was met and Edge Park Medical could begin using their new warehouse right away.